What does Bazan mean, details, origin, short & easy attributes? Bazan is baby boy name mainly popular in Muslim religion and its main origin is Arabic. Bazan name meanings is A companion of Prophet (PBUH). People search this name as Bazan. Bazan is written in Urdu, Hindi, Arabic, Bangla as بزن, बजन, باذن,باذان, বাজান. Other similar sounding names can be Baz, Bazaan, Bazam, Bazgar, Bazil, Bazir, Bazish, Bazl, Bazlur rahman, Bazala, Bazegha, Bazilah, Bazla, Bazriqa. You probably have google this question: My baby name is Bazan and how can I combine the name Bazan with other names and create unique & new name? We tried to suggest Bazan name combinations. You can see how it looks the name Bazan as first name or Bazan as last name. You can combine the middle name for Bazan and create a unique name. Popular personalities with Bazan Name. 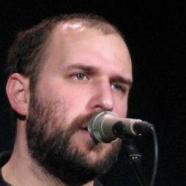 David Bazan is an indie rock singer-songwriter. He was most active from 1995 to present. David was born on January 22nd, 1976. Alvaro de Bazan is a military person. 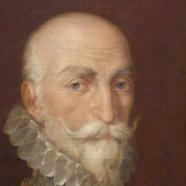 His military service ended in 1588. Geraldine Bazan is an actress, model, and singer. Geraldine was given the name Rosalba Geraldine Bazan Ortiz on January 30th, 1983 in Mexico City, Mexico. Ciro Alegria was an artist in the fields of novelist, writer, and journalist. Ciro was given the name Ciro Alegria Bazan on November 4th, 1909 in Sartimbamba, La Libertad Y. He left this life on February 17th, 1967. Dr. was born on May 22nd, 1941 in Tucuman Province. Dr. is also known as Nick Bazan. Antonio Valdes y Fernandez Bazan was a naval officer and officer (armed forces). 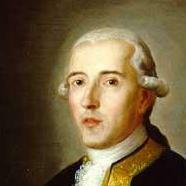 Antonio was born in 1744 in Burgos. He passed away on April 4th, 1816.